Download a copy of our latest 32-page catalogue – simply click on the cover to start. 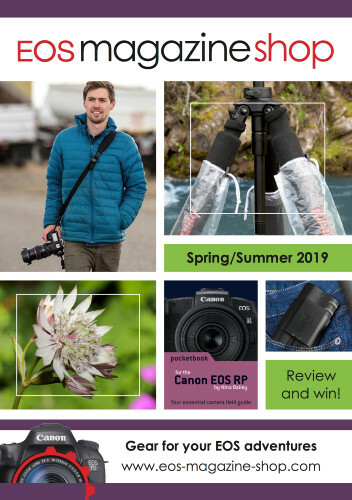 Our biannual catalogue is packed with accessories and gear for your Canon EOS photography, handpicked by the team at EOS magazine. You can also order a printed version free – just fill in the form and we'll pop one in the post to you. Check out what's new this issue. Buy with confidence – every purchase comes with a generous 30-day money-back guarantee.